YouTube is inarguably the most popular video sharing website in the world with millions of viewers daily. If you are an avid YouTube user, then there is a great chance you use the mobile app very often on your android or iOS device. Although Google has tried over the years to improve the YouTube mobile app on both iOS and Android by regularly pushing out updates with newer features, one of the essential things that the app really lacks is the ability to rewind or fast forward when streaming a video. It's really annoying when you have to forward or rewind a video on the YouTube app by scrolling on the tiny timeline. Fortunately, YouTube has just added a new feature that makes the process a lot more easier. 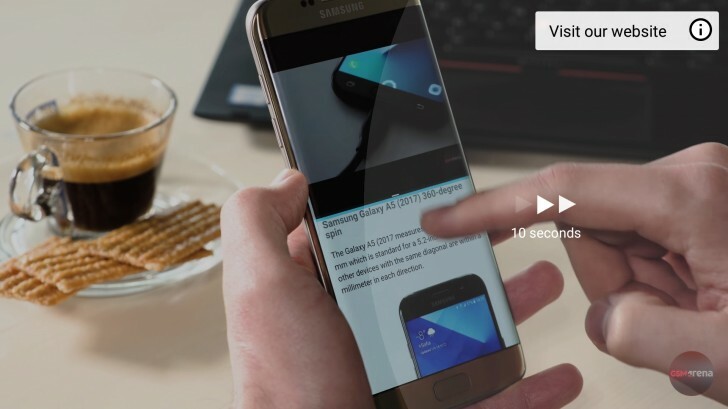 Now, you can fast forward or rewind a YouTube video by up to 10 second by double tapping on the right or left side respectively, while in full screen mode. This new feature is available to both android and iOS users. The new update has already started rolling out to users on both platforms. If you haven't received the update yet, then you just have to wait a little longer as it's been released in batches.